The Black Mamba is a dry herb, conduction vaporizer with precise and even heating. The unique shape and design of this vaporizer allows for a large ceramic chamber that holds around 0.65 g of material. 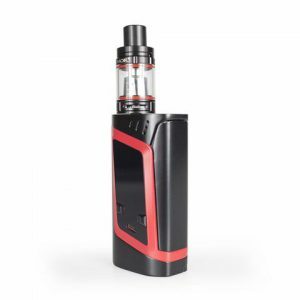 This dry herb vaporizer features an all glass vapor path and a food grade glass mouthpiece. The Black Mamba is a dry herb, conduction vaporizer with precise and even heating. The unique shape and design of this vaporizer allows for a large ceramic chamber that holds around 0.65 g of material. This dry herb vaporizer features an all glass vapor path and a food grade glass mouthpiece. With only a 2 second heat up time, there are 5 temperature settings available: 428 F (220C), 410F (210C), 392F (200C), 374F (190C), 356F (180C). Check out the available Black Mamba accessories here. All our stock is genuine and sourced directly from Black Mamba. Be aware of other online sellers who may be selling counterfeit products. We will beat any US competitors price on a genuine Black Mamba Vape. The Black Mamba vaporizer uses conduction to heat the ceramic chamber, which holds up to 0.65grams of essence. 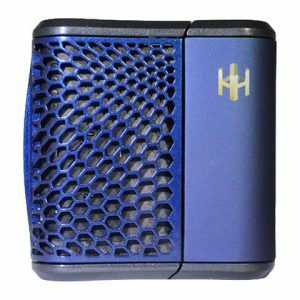 What sets this vaporizer above all the rest in quality is that it can heat up in the space of 2 seconds, so when we say this is an on-demand vaporizer, we really mean it. The 5 temperature settings indicated by the side LED lights are: 428F, 410F, 392F, 374F and 356F. 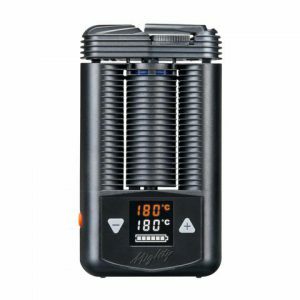 The portable vaporizer will quickly reach the desired temperature and, as long as the heating chamber is completely full, will perform optimally. Because it is a herbal vaporizer with conduction system, it is necessary that your herbs are ground finely for a better result when it comes to vaporizing. With thin, compact herbs the heat will be transmitted more easily, generating more flavor and an overabundance of vapor.